The Video that says it all: Division in Fanmi Lavalas. 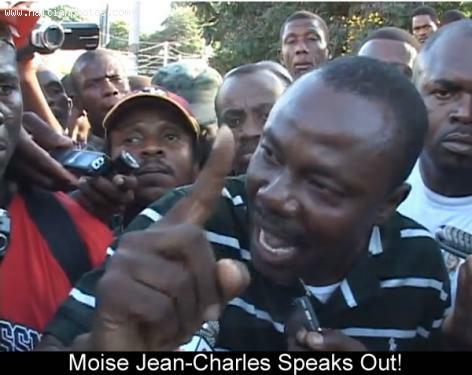 The supporters of Moise Jean Charles would not let Maryse Narcisse talk. Can this division actually take down Fanmi Lavalas? What do you think will likely happen? What do you think Jena Bertrand Aristide should do at this point? Is Mildred Trouillot Aristide a leader in the making? Some people seem to forget that. So in case you are nor aware, there is a chance that the next senatorial election in Haitia can be very interesting leading to the next presidential election that can be one of the most interesting election in the history of Haiti.  Here is a video of Simon Dieuseul Desras in an unsuccessful attempt to reconcile Maryse Narcisse and Moise Jean Charles. In this meeting recently held in the City of les cayes, Senator Deras did his best to bring the two sides together but it did not work. 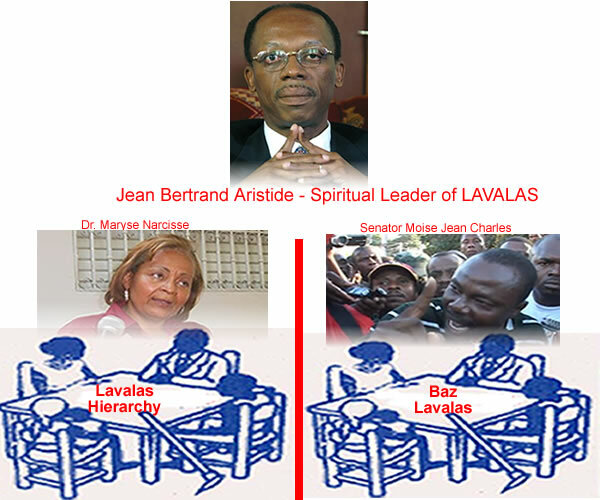 Moise Jean Charles and Maryse Narciss stayed in opposite sides of the Fanmi lavalas party. Monchè se sa ke mwen rele "Teate". Eske nou konnin gade match Resling? Se pa lot bagay se yon match resling. Nan match resling, nou konnin ke bagay yo pa vre, min nou rinmin gade li: paceke ginyin kompetisyon ki fè ke li interessan. Anbin, nan ka Fanmi Lavalas ki divise antre Maryse Narcisse et Moise Jean Charles, se minm bagay-la. Pa gin anyin ki verite nan sa. Meciedam yo ak jwe ak moun et sa ki interessan-an, nou tout pran nan jwet la. As a result of the public note issued by Fanmi Lavalas on November 29 to let the public know that neither Senator Moïse Jean Charles nor Arnel Belizaire have the right to speak on behalf of the party, an ultimatum has been issued by Moise Jean Charles. According to the later, Jean Bertrand Aristide has only fifteen days to say whether or not he endorse the decision of the board of the party. If he does not talk on the matter within 15 days, Moise will put some "kaka Chat" out. Knowing what Moise Jean charles know, will Jean Bertrand Aristide say something before the 15 days deadline to avoid any revelation that might put him in a bind? In a reunion organized in the city of Les Cayes, the division in the political party appears to be more obvious. As you can see in this video, the majority of the the participants in this meeting were in favor of Moise Jean Charles and not so much in favor of Maryse Narcisse. Ki sa ki pou fet lè ke giyin problem nan kay la? Maryse Narcisse was having such a tough time conducting the meeting with the supporters of Moise Jean charles making noises, as Maryse was speaking. Is this a sign that the division in Fanmi Lavalas will eventually split the party? Eske nou panse ke Jean Bertrand Aristide et Maryse Narcisse panse ke 2 mesye sa yo, Senator Moise Jean-Charles et Deputy Arnel Belizaire, indesirab oubien ke se yon strategy ke Pati Fanmi lavalas la ape jwe ak moun serye? I have some doubt! 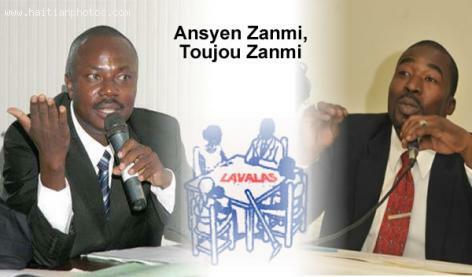 In a press conference, the group responsible for Fanmi Lavalas stated that these two individuals are not members of the party and also never showed their interest to become member. As a result, any statement made by Senator Moise Jean-Charles and Deputy Arnel Belizaire in the press is not in any way, form or shape the opinion of the party. One of the most important individuals in the anti-government demonstration was Dr Maryse Narcisse. 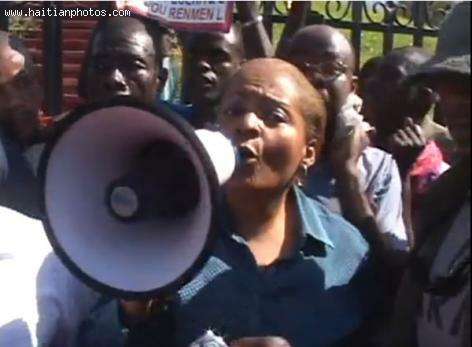 Here is a video of Dr Maryse Narcisse during the manifestation that took place on November 29. 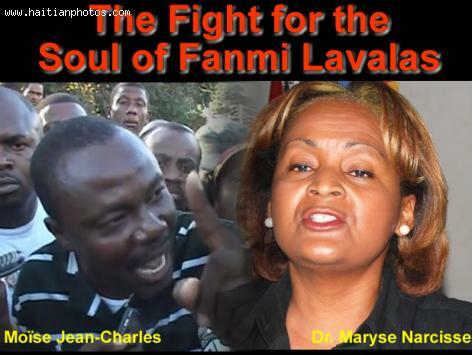 Not Jean Bertrand Aristide but Dr. Narciss is the face and the spokeperson for the Fanmi Lavalas. "Sanble Dr. Narciss te pran kek bon Gagan nan Manifestasyon sa"
2:00 PM: Heavy police presence at the crossroads Fleuriot, the main road leading to the US Embassy in Por-au-Prince. The police dispersed with tear gas protesters who wanted to reach the US Embassy. 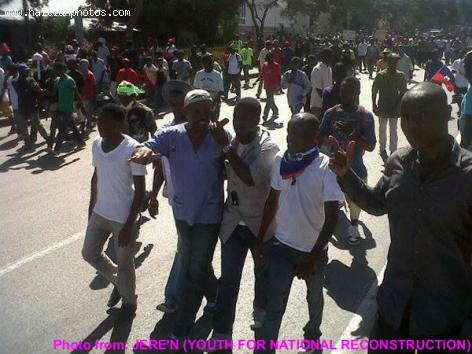 Another leg of the protesters headed by Fanmi Lavalas party Maryse Narcisse went to Ruelle Vaillant. Is the opposition biting more they can chew by protesting at US Embassy? 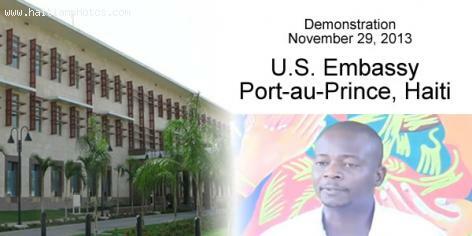 The leaders of MOPOD is determined to hold the next protest on November 29 in front of the US Embassy in Port-au-Prince on November 29, 2013. This is a new land that the opposition leader is venturing in by deciding to scheduling their next protest in front of the US Embassy. Are they will they accept the consequences. Since September 11, 2001 where several terrorist attacks were launched by the Islamic terrorist group al-Qaeda upon the United States in New York City and Washington, D.C., the policy of the United States has changed as to what constitutes a threat to them. Having a huge crowd of people gathering in front of their embassy in protest, can be categorized as such a threat.